Ottawa. Orleans. Minto’s popular Hathaway model boasts 3+1 bedrooms and 3.5 bathrooms. Main floor consists of formal living and dining rooms perfect for entertaining! Family room is large with gas fireplace. Gleaming maple hardwood floors throughout the main and second levels. Eat-in Gourmet kitchen with large island, extended pantry and desk area. Main floor laundry/mud room off the garage entrance. Second floor includes spacious master bedroom with walk-in closet and 4 piece ensuite bathroom w/separate soaker tub and shower. Secondary bedrooms are of good size with 2nd bathroom. Professionally finished lower level with rec room, plenty of storage, full bathroom and 4th bedroom. The yard is landscaped and low maintenance! Fully fenced backyard with large deck, sitting area and gazebo. Single Car Garage. Central Air. 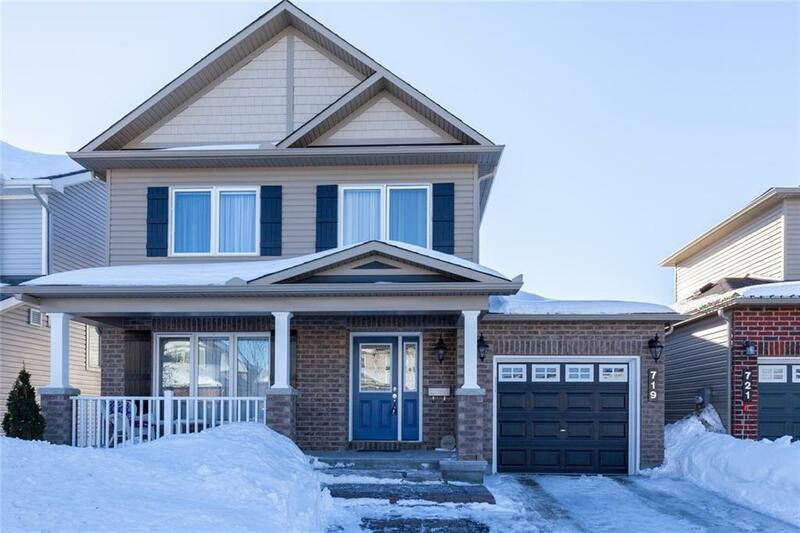 Located in a quiet family friendly neighbourhood with great schools, parks, transit and recreation.